Sarkhosh addresses the crowd to kick off the Stone Fruit Field Day in Citra, Florida. 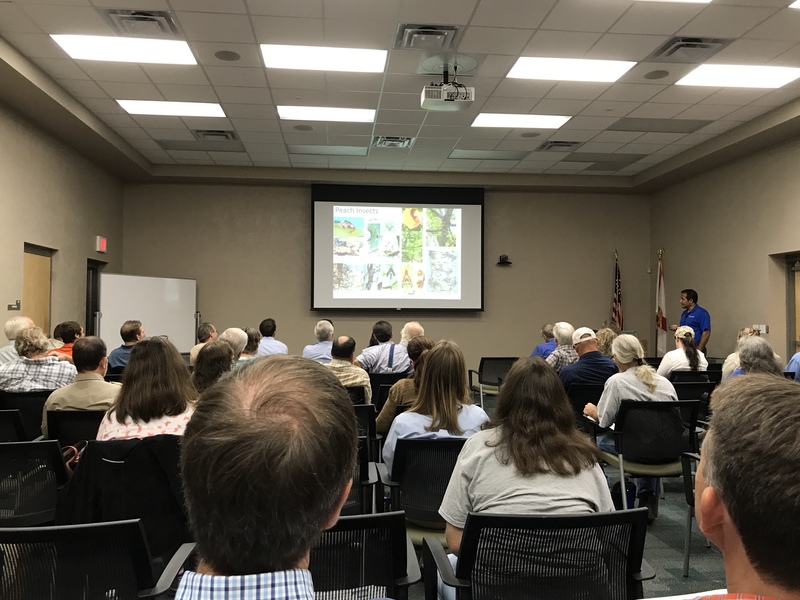 Ali Sarkhosh, assistant professor and Extension specialist in the Horticultural Sciences Department at the University of Florida (UF), spoke at and co-hosted the annual Stone Fruit Field Day at the UF Plant Science Research and Education Unit in Citra. The event included discussions on the issues and challenges in the stone fruit industry. It provided information on progress in peach variety development, weed management advice and peach harvesting and post-harvesting handling considerations. Other areas addressed were marketing campaigns, practical pest management practices and how to irrigate peaches in Florida. The event also included a field plot tour for attendees. Several scientists shared their research results with growers. Topics of discussion included rootstock diseases and issues, cover crops for tree fruit orchards, insect management in peaches, and the successes and challenges of peach production in Florida. 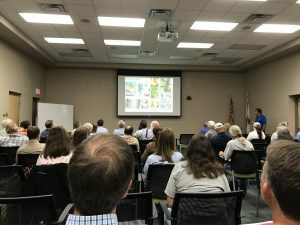 “I have been talking with the growers today, and I have thoroughly enjoyed learning a few new subjects about growing peaches in Florida,” said Sarkhosh.